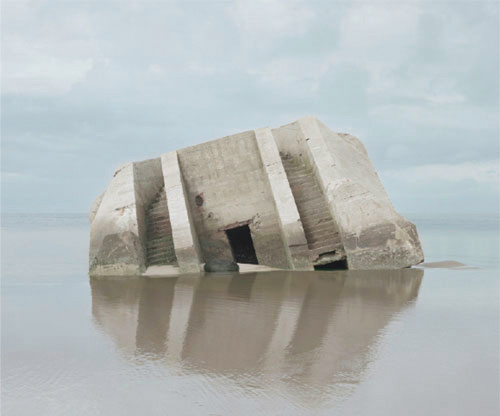 Photographer Noemie Goudal creates the most amazing, bizarrely serene images - sometimes real objects, but usually bits of strange architecture, cut-and-pasted into the landscape in the most physical way imaginable. 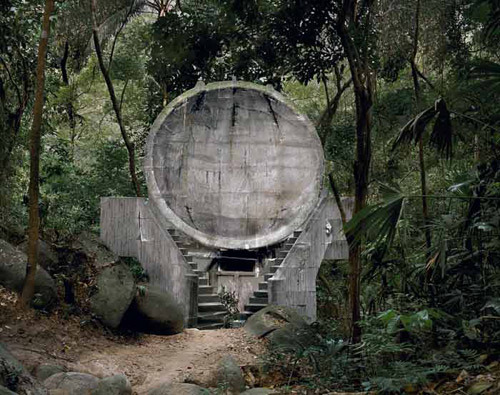 Photographs are taken, enlarged, brought into new environments and re photographed, bringing the hard lines of concrete into swathes of sand and water. 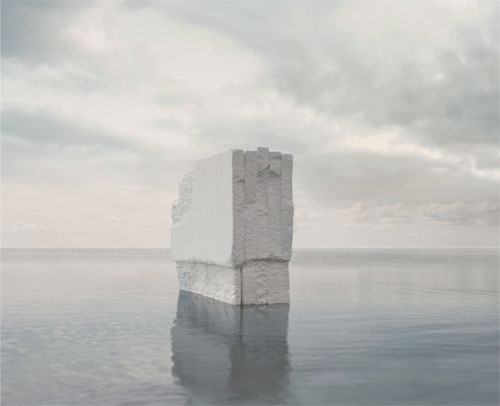 There's an element of artifice, but one that isn't hidden from the viewer - an honesty remains in her building of landscape, leaving 'all the details that show [the] construction on the picture'. 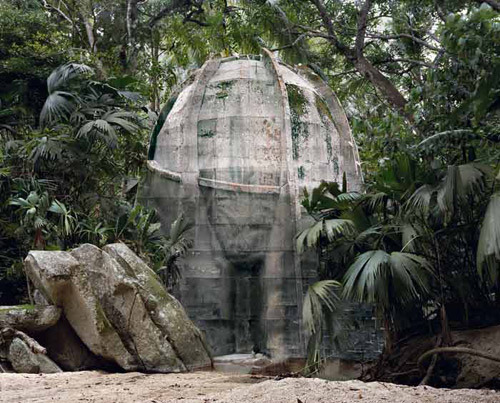 She makes the distinction between real 'fantasy' and her work, which instead invites the viewer ('the protagonist') into 'a place made from the real that questions the fantasies, desires and fragility of the viewer'.